Introduced in 1950, well before its time, the Eames Desk Unit 20 is emblematic of the grace and vision Charles and Ray Eames used in solving home furnishing problems. A result of work they had done for a 1949 exhibition at the Detroit Institute of Arts, Eames Desk Units and Storage Units reveal the "machine aesthetic" and Japanese influences important to the Eameses at the time. Long before "modularity" and "high tech" entered the language, Charles and Ray combined standardized parts in many ways to create practical furnishings that suit a variety of uses at home and the office. The wire cross supports used in Eames Desk Units echo other classic Eames designs, including Eames Storage Units, wire chairs, and wire-base tables. 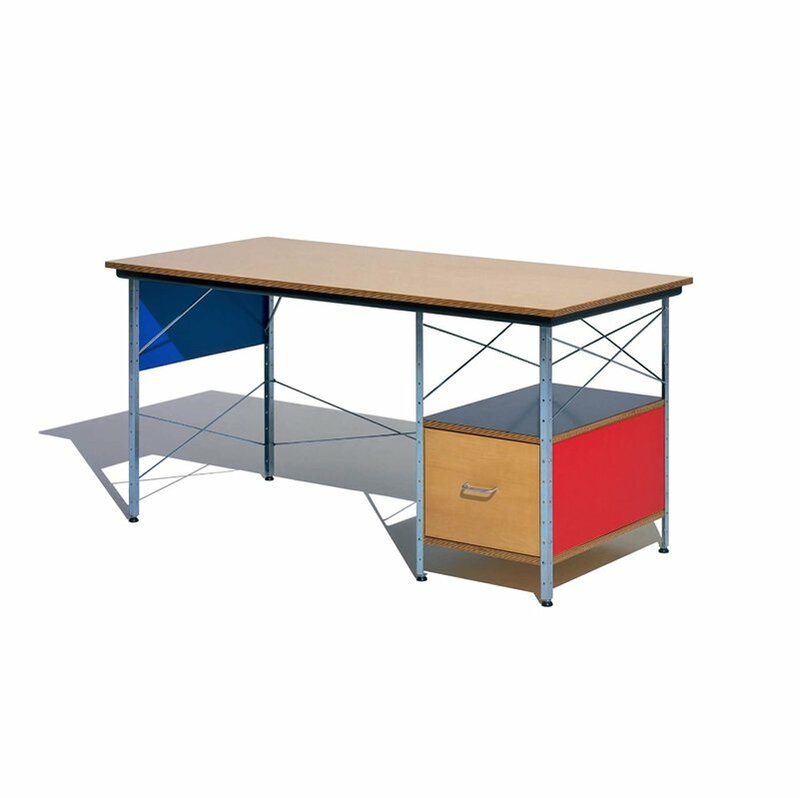 The Eames Desk Unit 20 features a birch finish on tops and file fronts with painted hardwood board in neutral or primary colors on case sides and back panels. The desk is also offered in the scaled down Desk Unit 10, featuring open shelf storage and a smaller overall footprint. Based in Michigan with roots dating back to 1905 Herman Miller, is known worldwide for inventive office furniture design for the modern home and workspace. Herman Miller has a strong commitment to quality by being a pioneer of ergonomic office furniture while being a steward of environmental leadership in the manufacturing process. Available in a wide range of styles and colors, Herman Miller offers timeless furniture, high in style and comfort, from desk chairs to tables.